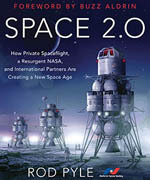 From February 27–March 1, 2011, the National Space Society (NSS) and the Space Exploration Alliance (SEA) will be holding the annual Legislative Blitz in Washington, D.C. The 2011 Blitz comes at a crucial moment. 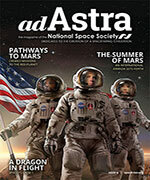 In September 2010, Congress passed the NASA Authorization Act of 2010. It is now time for Congress to enact legislation that appropriates the required funding in compliance with the Authorization Act. In the current economic climate, however, it is uncertain which path our nation’s leaders will now take. More than ever before, it is absolutely critical that the voices of the space advocacy community be heard in the debate over the future of our nation’s space program. Come join space advocates from around the country to let Congress know that there is strong constituent support for an ambitious space program. Please REGISTER here for the Legislative Blitz. For more information, please contact Rick Zucker at [email protected] or 508-651-9936.